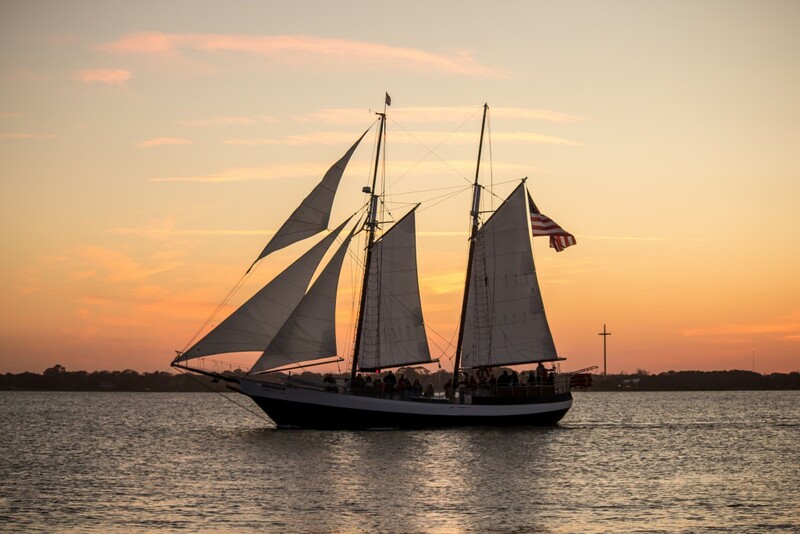 Committed to providing the finest customer service and sailing experience in St. Augustine, Schooner Freedom Charters is ready to take you on an amazing excursion on board St. Augustine’s only tall ship, the Schooner Freedom. Captained and crewed by passionate professionals, the Schooner Freedom provides a true slice of hometown sailing history. Whether you choose a relaxing Day Sail, romantic Sunset Sail, or a breathtaking Moonlight Sail, an excursion on the Freedom will be the highlight of your stay and a memory to last forever. Select the link to the sail you wish to enjoy and learn all the details. Our family invites your family to set sail and enjoy pure sailing Freedom. We offer an arrangement of Specialty Sails, including our Fins and Freedom, Full Moon Sail, and after Thanksgiving the Nights of Lights Sunset and Moonlight Sails. As well as private charters for rehearsal dinners, weddings, bereavements, birthday parties, corporate gatherings, and many more! After your sail, there is a multitude of restaurants located just a short stroll away from the Municipal Marina. Our crew can recommend the perfect spot to satisfy even the most discerning palate. 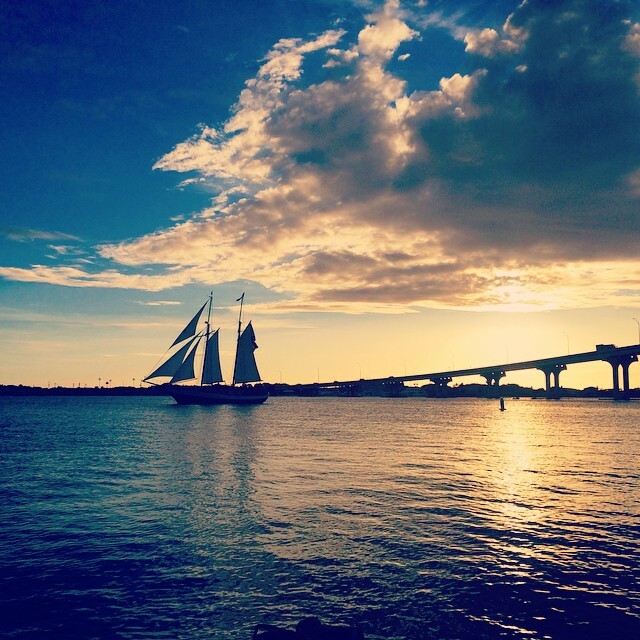 Make your sail the full experience – stay the night and enjoy all that St. Augustine has to offer! For a truly intimate visit, stay at one of the many fabulous Bed and Breakfasts or cozy hotels that are only a quick walk away from our central location. And no trip to St. Augustine is complete without taking a historical ride on the Old Town Trolleys, visiting the Castillo de San Marcos, the St. Augustine Lighthouse, the Colonial Quarter, and the dozens of additional attractions that make St. Augustine a prime destination for history buffs, romantic getaways, and family adventurers. Add our beaches and pristine natural habitats, and we can’t think of any reason not to stay and enjoy all that St. Augustine has to offer!